the name Tanberg as it was a larger farm as my family did? I'd like to know if Tanberg is an area in addition to being a farm. I do not see the family on any Tanberg farms on the 1865 census. Thank you. The reason why you don't find any Tanberg farms in Norderhov is that the the spelling of the farm name has been changed. In 1865 (and now) the most common spelling of the name is Tandberg. The direct line between the two farms is about two miles. 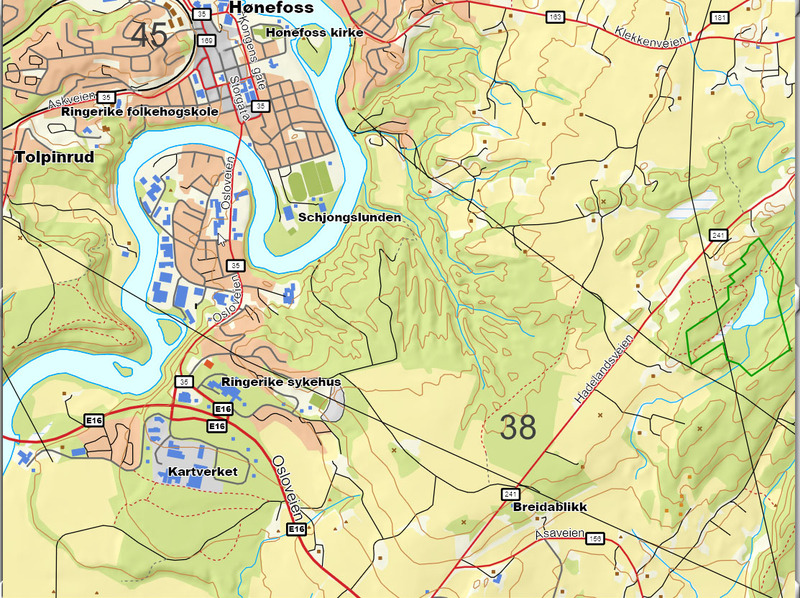 Tandberg is outside the city of Hønefoss (south-east) while Qvaernebergsandsødegaard is within the City (and a little south-west of the railway station). To get from one of the farms to the other, you have to cross the river.